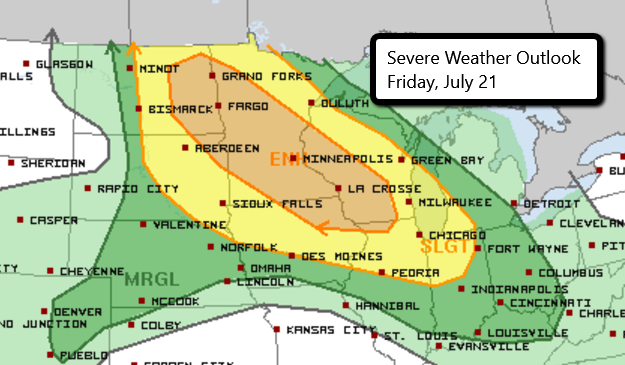 There is an Enhanced Risk for severe weather this afternoon and evening across parts of the High Plains and Upper Midwest. This includes Minneapolis and St. Paul, MN, Madison, WI, and Rockford, IL. 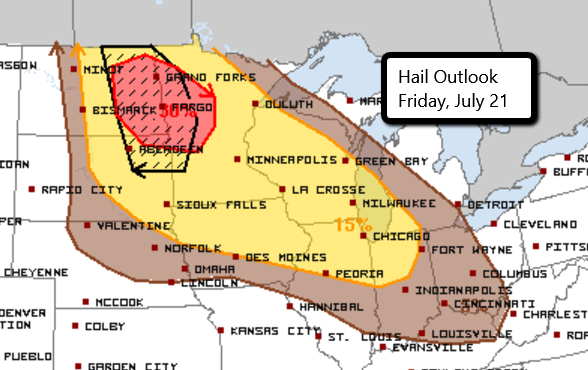 Storms are expected to quickly develop this afternoon in parts of the Dakotas where very large hail and damaging wind gusts will be the primary threats. 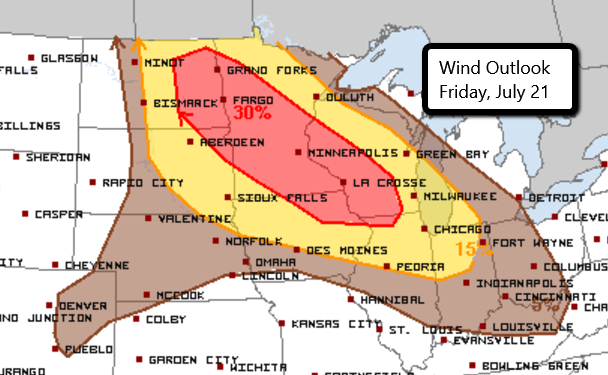 This activity could organize into an MCS which could bring a swath of wind damage to parts of Minnesota and Wisconsin later this evening and overnight. 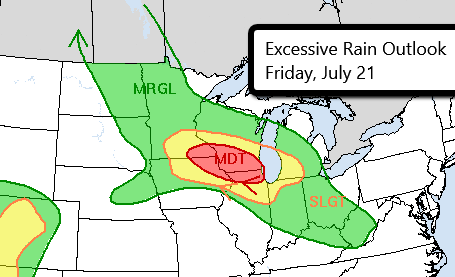 With dew points well into the 70s across southern Minnesota and parts of southwestern Wisconsin, torrential rainfall is also a major concern. These same areas have been hit hard with rain over the last few days and are under Flash Flood Watches through tomorrow. Some spots could pick up 2-5″ of rain with storms today and tonight. Flash flooding is a possibility. Follow us on Twitter for updates throughout the day! Watch chaser live streams here.